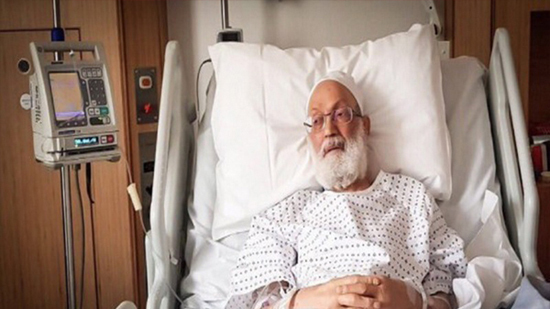 The representative of top Bahraini Shiite cleric Sheikh Isa Ahmed Qassim in Iran said the popular cleric will have to stay in the UK for at least one more month as part of his convalescence after an operation at a London hospital. Sheikh Abdullah al-Daqqaq said Sheikh Qassim was recently discharged from the hospital after a “successful” operation in London. Sheikh Qassim will have to stay in London for at least one more month as part of his convalescence, he said, adding that this period could stretch to six months. According to Daqqaq, the senior cleric will go back to Bahrain after his medical treatment ends. In July, the Bahraini regime allowed Sheikh Qassim to travel to the United Kingdom for medical care. In May 2017, a Bahraini court convicted Sheikh Qassim of illegal collection of funds and money laundering, and sentenced him to one year in jail suspended for three years. It also ordered him to pay $265,266 in fines in a ruling which sparked widespread demonstrations across the kingdom. The cleric has strongly rejected the allegations. Bahraini authorities stripped the cleric of his citizenship on June 20, 2016. They later dissolved the Islamic Enlightenment Institution founded by him as well as the opposition al-Risala Islamic Association. Sheikh Qassim, also the spiritual leader of Bahrain’s main Shiite opposition group, the al-Wefaq National Islamic Society, has been an outspoken critic of the Manama regime’s policies. His home village of Diraz has been under what human rights activists have called a continuous police blockade since the Interior Ministry leveled accusations against the prominent cleric and revoked his citizenship. Sheikh Qassim is one of hundreds of people stripped of Bahraini citizenship since 2012.